As my best friends will tell you, I’m your go-to gal if you need a good soup recipe. Come winter, there’s always something simmering in my slow cooker or on the stove — thick-as-a-brick pea soup, creamy potato porridge, vegetarian chili, or a savory minestrone. The way I see it, homemade soup is a remedy for nearly everything. It’s guaranteed to speed the recovery of a neighbor who’s nursing a broken heart or the common cold. It fortifies the friend who just returned home after knee surgery. In fact, homemade soup has a language all its own, which makes it ideal when you’re struggling to find a way to express sympathy to grieving families. It also works to convey gratitude when we need to reciprocate a kindness or a favor. It’s methodical but soothing — the whole process of making soup from scratch. I always begin with fresh produce from the market, then I gather the right combo of herbs and spices from the pantry, or, if I’m lucky, from the small potted “garden” in my kitchen window sill. From the moment I start chopping onions and garlic, every muscle and nerve in my body begins to loosen or unwind. And while I work, I think about the loved ones who’ll receive the first helping when my soup is finished and the flavor has mellowed. That said, the soup I make at home never tastes quite as delicious as the soup from someone else’s kitchen. So when I’m feeling especially cranky or lazy, I head over to Niki’s, my favorite local diner here in Royal Oak. If you were a diehard fan of the long-running Gilmore Girls TV series, you probably remember Luke’s Diner, right? Well, Niki’s is just that sort of place –a cozy hangout where you’ll likely rub elbows with a neighbor at the counter. 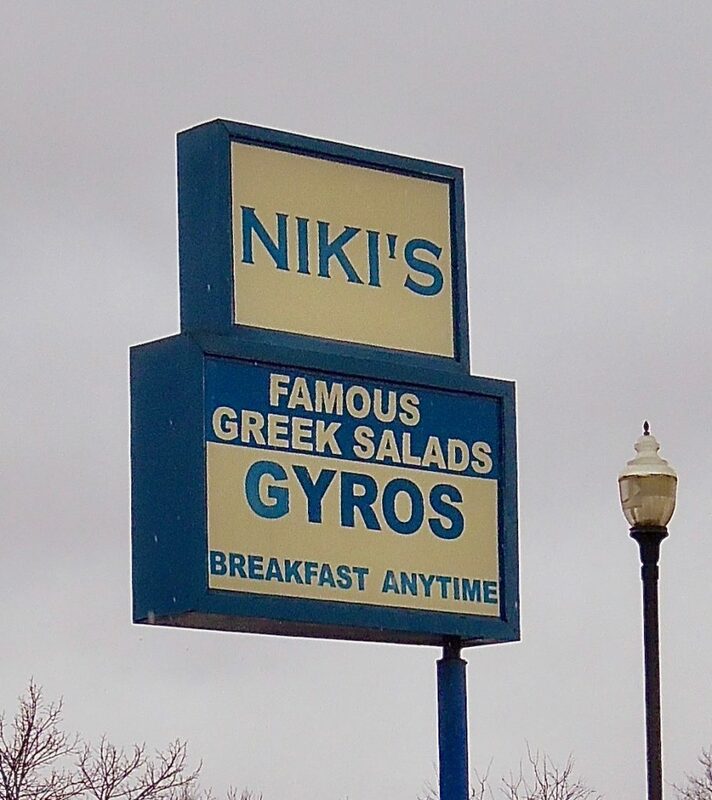 Best of all, the soup at Niki’s is always homemade — and the perfect prelude to my favorite Greek salad on Main Street. I’ve known Donna, the owner and cook, for so many years that I’ve lost count of all the gloomy winter afternoons I spent in her back-corner booth with my notebook and a pending column deadline. Those afternoons were always warmed by Donna’s chicken noodle, spinach-tortellini, or cabbage soups. I still like to remind Donna that she makes the best soup in town, and that I’ll always be her biggest fan. Whenever you’re in need of a little home-cooked comfort — and your own mom isn’t around or able to provide it â€“ it helps to have at least one good cook like Donna at the ready. We all need someone who can ladle out the perfect bowl of soul-filling soup, especially on chilly midwinter afternoons. 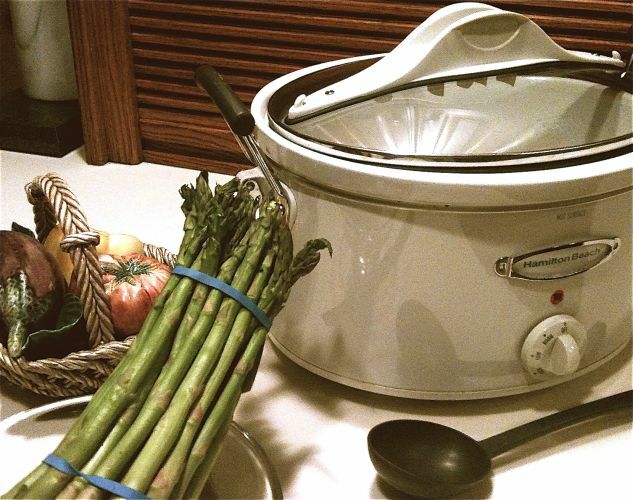 Use a large slow cooker; set it on high. Add the six cups of water. Rinse the split peas, then add to the water. Chop the onion and saute in olive oil with dried oregano and crushed garlic until onions are translucent and slightly brown. Add the cooked onions/garlic to the slow cooker and stir; add the remaining ingredients. Cook on high for five or six hours until the potatoes are soft and the soup is thick. (If you’re pressed for time, add a can of sliced/cooked potatoes to the batch during the last hour, instead of the fresh potatoes.) Add salt and pepper to taste, if desired.